I am about to co-teach a course: Environments and Materials in Reggio Inspired Teaching and Learning at Lesley University and about to see the second edition of our book, In the Spirit of the Studio: Learning from the Atelier of Reggio Emilia come out next week... so, I have been thinking a lot about the whole idea of materials and what they mean to me and have come to mean to many with the perspective of the work in Reggio Emilia. A central thread in Reggio Emilia is aesthetics and the power of materials...paint, pens, pastels, clay, stones, shells, sand, earth, leaves....to hold meaning together, to prompt connections, stories, exchange, pleasure and wonder. Playing with the stuff of the world... the pigments, the earth itself, the fibers and filaments, the graphite and charcoals...all of it of the earth and from the earth, gives us human beings the chance to make marks and make meaning in many forms. This is never so clear as it is in Reggio Emilia, Italy in the municipal schools for young children. What a wonder to live now and to take inspiration from Reggio Emilia as many of us do all around the world. Vea Vecchi's book, Art and Creativity in Reggio Emilia is a must read for those of us who want to peek into the real world of aesthetics and learning as it has evolved in Reggio Emilia. Margie Cooper's chapter in the newest and third edition of The Hundred Languages of Children, "Is Beauty a Way of Knowing?" synthesizes and interprets a talk by Vea Vecchi that is the foundation of much of the work in Reggio Emilia. All of the publications from Reggio Emilia communicate in myriad ways through many learning stories the power and pleasure that materials of all kinds hold for students and adults. We have shared a list of basic materials in different contexts and for different reasons. We are now sharing it with the students in the Lesley course that begins this weekend. We share it here to remind you what you might need and what you could look for. The list is not complete by any means but it is a good start. Have fun and never doubt that some good pens and some soft colored pencils in the hands of children, over time, will inspire and amaze you. 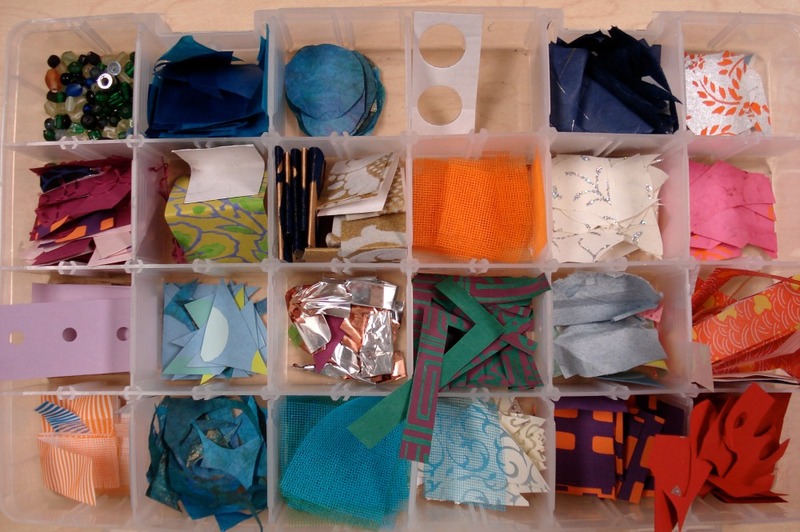 These are basic suggestions for ordering materials to use with children. Several sets of colored pencils should last a class of 20 children a school year if they are treated well. You do not need to order a set for each child. Soft, high quality colored pencils are a pleasure to use and produce results that do not compare to low quality, hard student sets of 12 pencils. The same is true of other materials.